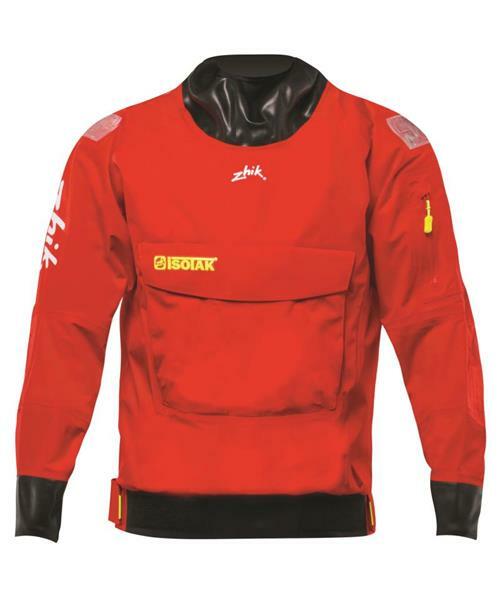 Isotak® 2 brings Zhik's latest development in highly durable and lightweight waterproof fabrics combined with innovative, highly functional and robust garment design. Isotak® 2 fabric features their proprietary multi-layer composite membrane construction originally developed for Isotak® Ocean combined with a lightweight yet highly durable hightenacity nylon face. The result is an extremely lightweight and highly breathable fabrication with class leading levels of waterproof durability. Isotak® 2 now includes their Qulock™seam sealing system as used by their Isotak® Ocean products. The Qulock™ system includes a proprietary seam tape that is carefully tuned to the inner fabric lining to maximise waterproofness. This seam sealing is also applied under strict manufacturing processes, every Isotak® product is pressure tested, so that you can be guaranteed an extremely rugged and durable waterproof seal.